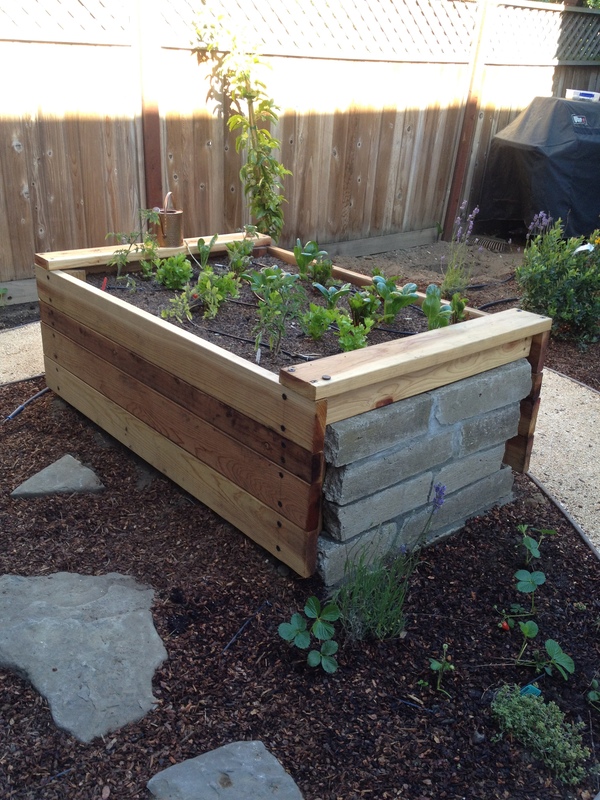 Paired with redwood, this is a sidewall of veggie boxes Elisa built in a backyard in Laurel Heights. This was reused onsite, having been torn up from an old path in the previously neglected space. 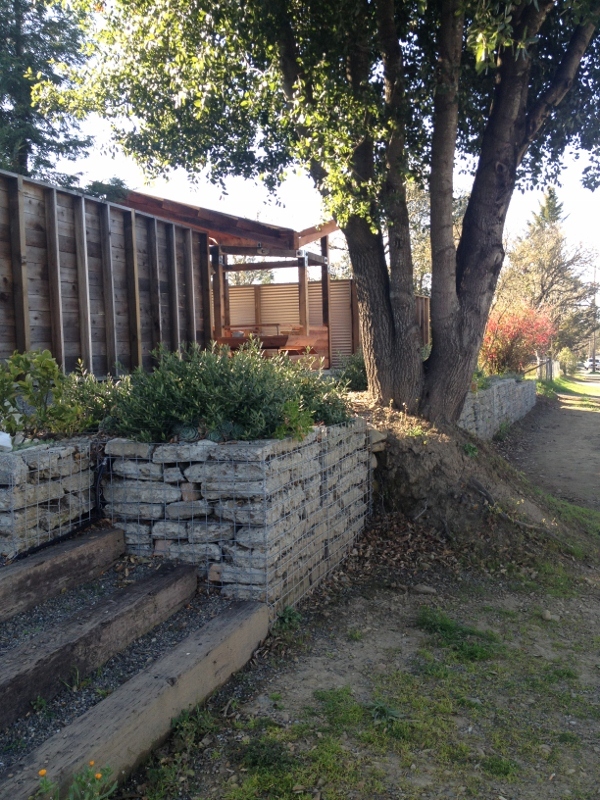 These retaining walls are part of the landscaping at a hotel in Boonville, Mendocino County. Notice how the stacked pieces of urbanite are re-enforced with wire mesh, essentially blending in and preventing any wayward slippage.